Japan is well known for being the most advanced mobile phone markets in the world. 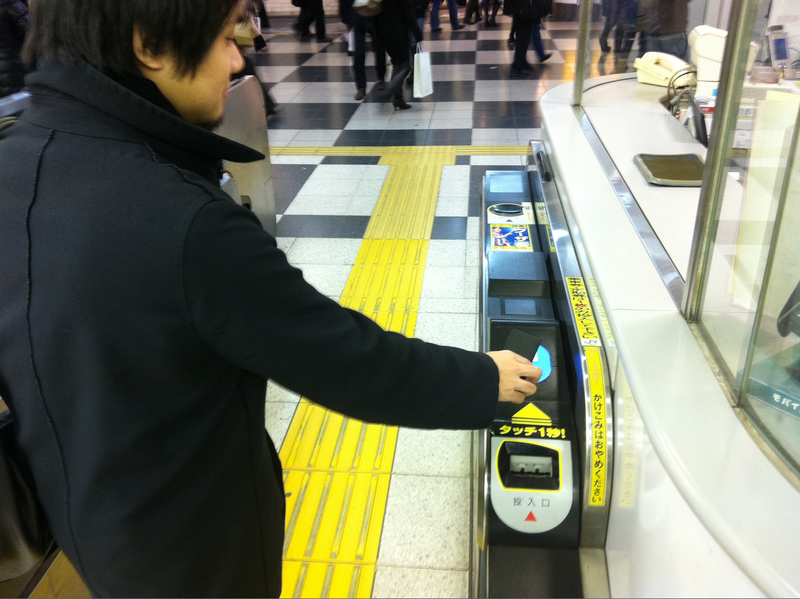 I'd read about mobile phones being used to pay for things in Japan but I hadn't realised how cool this actually is until I was in Tokyo recently. You can pay for your taxi, buy something at the convenience store and use public transport simply by swiping your mobile phone over a pad! That is uber convenient. 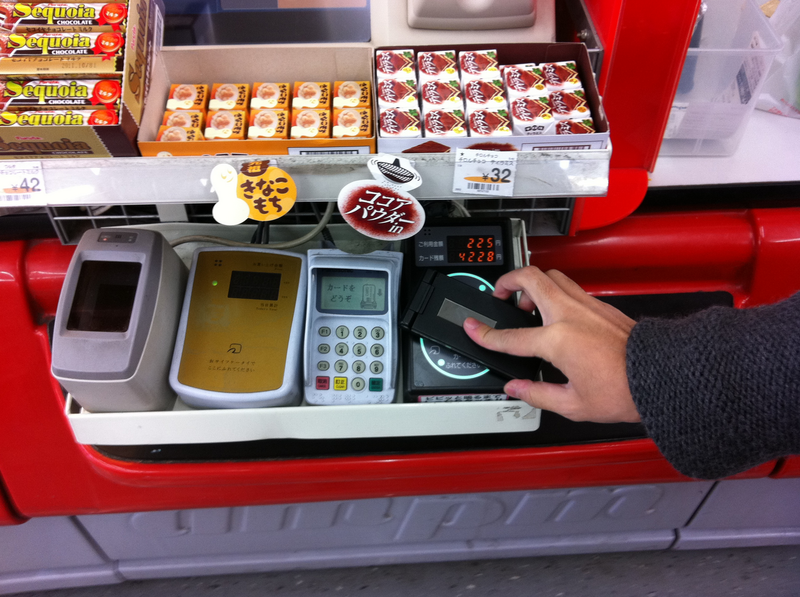 The technology used is Near Field Communication (NFC). Your credit card is associated with your phone payment account so the money is just deducted off your credit card. There are actually competing mobile payment providers and you can see the 3 different mobile phone payment pads in this convenience store. This service has been available for about 5 years in Japan now. The closest thing I'd seen to this before is the Octopus card in Hong Kong which allows you to board the train and make purchases from a lot of stores. The Octopus card is an extra card you have to carry though, using your mobile phone which you have with you anyway is an extra step of convenience. What I find interesting is that Apple (iPhone), Rim (Blackberry) or Google (Android) haven't tried to implement something like this in other markets... yet. The Google Android Nexus S incorporates NFC and recent reports suggest the iPhone 5 will as well. No doubt we can expect that Apple and Google will shortly be moving in on this market. Given their high market share of devices in countries like Australia and the US there is huge potential to role a payment system like this out and take a small percentage fee on all these transactions.